With autumn upon us and winter around the corner, some Virginians may have thoughts of hot rum toddies sipped before roaring fires as cold winds sweep past storm glass windows. Beyond such soothing imagery, though, rum played a very real role in Colonial America’s ruthless expansion beyond the Appalachians. Barbadan rum, of the thick, dark variety also known as “blackstrap” became wildly popular in Britain and her North American colonies. To meet demand, production quickly spread from Barbados to Jamaica and other sugar producing Caribbean islands. 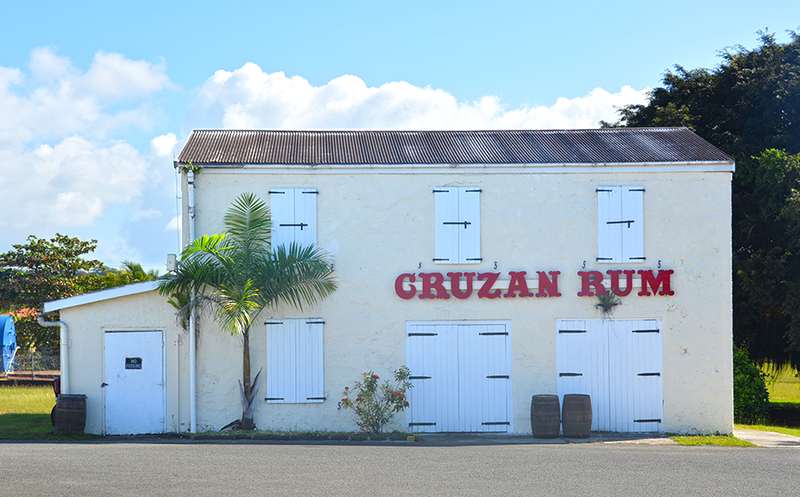 Since 1760, the Virgin Island of St Croix has produced “Cruzan Rums.” St. Croix became known for its lighter, white and dark rums blended from thicker, more aged rums. They’re ideal for mixing in rum punches and hot toddies. As a young man, George Washington personally witnessed rum distillation during his sole trip abroad. 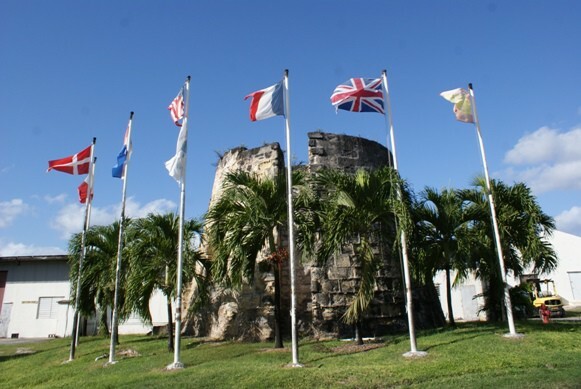 In 1751, at age 19, he traveled to Barbados with older brother Lawrence. They thought the warm climate and clear sea air would help Lawrence’s battle against tuberculosis. It didn’t and Lawrence died in 1752. George then moved into Lawrence’s estate Mount Vernon to help his widow manage its lands and enterprises. He also became active in Lawrence’s most promising venture — the formation and management of the Ohio Company of Virginia, which aimed to develop a healthy trade with Indians living beyond the mountains and secure Virginia’s land claims before French Canadians moved in. In return for valuable beaver skins, furs and land, Indians would receive cheap British manufactured goods, such as cloth, beads, firearms and rum. The Potomac River (and a system of portages) provided a good highway for early traders’ canoe traffic, enabling them to approach a key pass through the Alleghenies west of what is now Cumberland, MD. But, to receive the imported trade goods from Britain and transport them up the Potomac required a deep water port and warehouses. In the 1730s, a warehouse storing tobacco for export had been built at the confluence of Hunting Creek and the Potomac. The Ohio Company, encouraged by the Washingtons, Lees and other local landowning investors, chose that location for construction of new docks and warehouses. Young George Washington was one of the first surveyors of that land that would become Alexandria. Docks, storehouses, an inn and even a rum distillery (producing cheap “Alexandria Rum” from imported West Indian molasses) were all constructed in the mid 1700s along the shore line. In the 1980s, archaeologists working the site now known as Harborside found extensive remains of that development. Beyond his surveying, Washington played a fascinating role during the 1750s in establishing Ohio Company forts (log stockades) and storehouses along the route West from Alexandria to Winchester and Cumberland, as well as the first attempt to establish a British presence at what’s now Pittsburgh. In the process, 21-year-old Washington and the band of Virginia frontiersmen he led unwittingly sparked what became the French and Indian War. Sadly, Franklin concluded that “rum may be the appointed means” in “Providence’s design” to displace these Indians with European cultivators. Secular authorities found it all distasteful, while averting their eyes. Virginia Governor Dinwiddie, an important investor in the trade-dependent Ohio Company, disingenuously called such Indian traders “a set of abandoned wretches” in a 1753 letter to the Pennsylvania Governor. Later, in 1755, British General Braddock, whose mission was to subdue the French and their Indian allies in the region, called Indian traders “Banditti,” although he used them as scouts and followed their trails. Ultimately, the traders, rum and Anglo-American military muscle did fulfill what Franklin called Providence’s plan. The trans-Appalachian frontier was opened for settlement at the expense of the unfortunate Indians who were moved further West beyond the Mississippi River. Some Indians were even sent to the Caribbean as slaves. Jeffrey R. McCord is a free-lance journalist whose work on international economics and consumer protection has appeared in the Wall Street Journal, Gannett newspapers and Truthout.org, among other publications. For more than 20 years, he’s called Northern Virginia home. Jeff is the author of two fact-based Caribbean novels: “Undocumented Visitors in a Pirate Sea,” which was a quarter-finalist in the 2014 Amazon Breakthrough Novel contest; and, “Santa Anna’s Gold in a Pirate Sea,” a finalist in the 2016 Next Generation Indie Book contest. He now divides his time between Virginia and St. John, USVI.